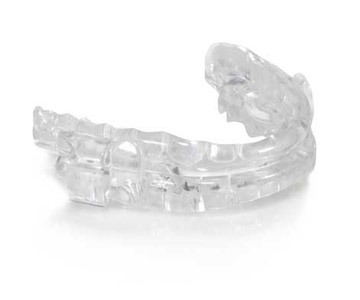 We specially design all of our oral appliances so that they fit comfortably within a patient’s mouth and allow them to get the healthy sleep that they deserve. At our practice, Dr. Dernick partners with some of the leading manufacturers of oral appliances so our patients only receive the highest quality care. Each appliance is perfectly suited to meet a particular set of needs, and you can learn more about the ones we offer below. SomnoMed sleep appliances are some of the most common and popular ones used today. They are made of a high-quality plastic material that can be trusted to last and not absorb any unpleasant odors. They work by slightly shifting the jaw forward to keep the airway open, and they are so comfortable that a patient is able to speak and drink while wearing one. In numerous studies, it has been shown that 90% of the people who consistently use SomnoMed appliances experience a noticeable increase in their sleep quality. The Narval works in a very similar manner compared to SomnoMed appliances. The jaw is gently shifted forward, placing pressure on the soft tissues and muscles in order to keep the throat and airway open during sleep. However, Narval appliances are crafted from a very flexible material to help it provide optimal comfort. 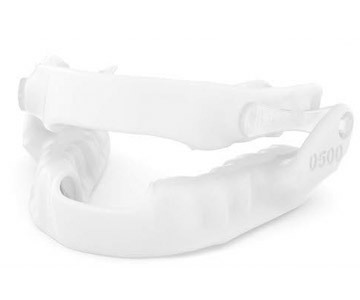 Some people struggle to adjust to hard plastic appliances, but the lightweight, malleable Narval allows a patient to eat, drink, and speak with ease as well as fully close their mouth during sleep. 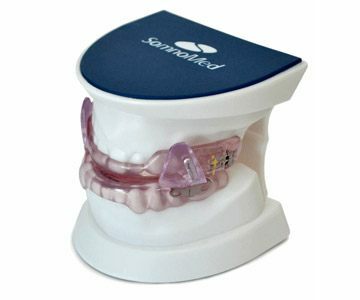 MicrO2 ProSomnus oral appliances actually come in two pieces: the appliance on the lower teeth has a set of “wings” that attaches to the upper one. This makes the device much more durable than most because this design leads to less breakage. They are made of very thin and clear plastic so they comfortably fit into the mouth. These appliances are actually quite small in size compared to others, enabling patients to move their mouth more freely while wearing one. To learn more about our different oral appliances and which one may be best for you, please contact us today.